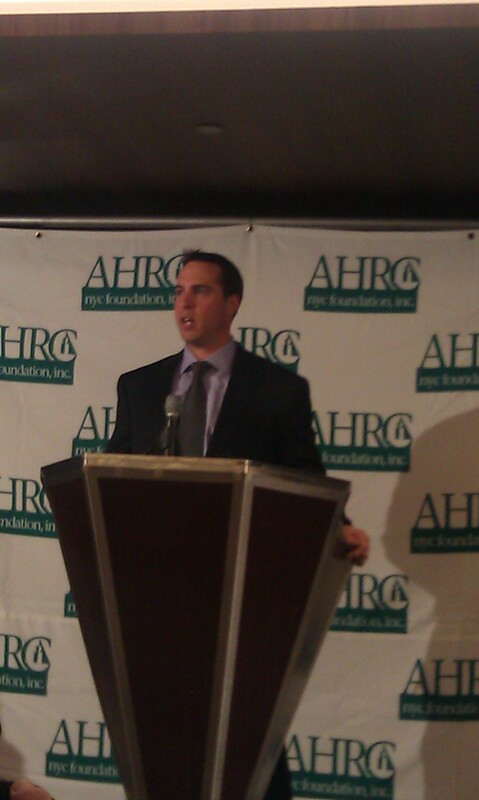 Derrel Johnson of Razz and Jazz Sports had the opportunity to catch up with New York Yankees first baseman Mark Teixeira before he accepted a “Thurman” at the 32nd Annual Thurman Munson Awards Dinner last night. Teixeira was joined by Yankees beloved Hall of Fame catcher Yogi Berra, New York Mets pitcher RA Dickey, Basketball Hall of Famer Chris Mullin, former basketball star Dikembe Mutumbo, and New York Mets infielder Daniel Murphy, who all were presented with “Thurmans” as well. Below is video of Teixeira from the event. Next Story → Daily Debate: Should Knicks Coach D’Antoni Start Jeremy Lin Tonight? Can you get Teixiera to tell John Sterling to knock off the “Teixiera Sends A Text Message” home run call? That would be great. Way to keep it up with another great interview, Derell. You are a great reporter who is great at what you do. With Jeter’s and A-Rod’s careers winding down, Teixera needs to step up. Thanks again for the great words Sam. I appreciate it, and Teix definitely needs to step it up!